As you may know, Nokia Mobile phone manufacturing company was present at WMC event, due to their launching of new above mentioned Nokia phones. During the course of the launching, HMD Global announced to the public that it’s new four Nokia devices which include Nokia 3310 and Nokia 6, 5, 3 will be released for purchase simultaneously across over 120 markets in this year, 2017. 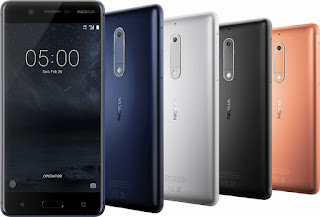 Notice: Did you lock your Nokia phone unknowingly and couldn't recall the security code to unlock it, then here is an expert tips to unlock any of your Nokia device. As it stands, a Chinese website Vtech has just announced what the date of release of this recent Nokia phones might be like for the Malaysian market. Due to the information gotten from the website, it is said that the new Nokia 3310 will be released late April, which happens to be the current Month we are in now. And also said that the Nokia 3, 5 and 6 will be released to the market for buying in the beginning, middle and end of the month, May 2017, accordingly. If you can still remember, last Month which was March a United Kingdom retailer which is known as clove said that the 3 Nokia smartphones will start selling between May and early June, And lo and behold it happened as he pronounced. This is due to information gotten from the source, so don’t be surprised at that. And what am trying to pass on to you is that, this news from the Chinese website Vtech will likely happen same way. >> Wow!!! Check out The World's Smallest Smartphone That Goes For Little Cash. However, the only news we have at hand from HMD is that, all the proposed new phones launched will be released simultaneously, and no official date was actually announced from them. For those in United States, and few other countries, this Nokia 3310 won’t be available for you because of lack of 2g network. Meanwhile stay tuned for more news and official date of release for the Nokia phones.